TOKYO, Apr, 12 2018 - (JCN Newswire) - Car showrooms in Japan are now providing more than just vehicles to the local community. 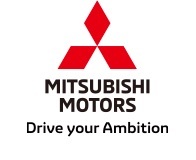 Mitsubishi Motors Corporation (MMC) is creating a network of dealerships which can offer cleaner electric vehicle charging, help stabilize the local electricity supply grid and even provide electricity after a natural disaster or power outage. MMC already has 28 showrooms throughout Japan which have solar panels and the ability to use an electric vehicle's battery power as an emergency power source, via a Vehicle-to-Building (V2B) charger. However the new Omiya "Hyper Energy Station", opened this week in Saitama City, has also been fitted with its own lithium-ion battery packs to provide substantial power back up to the local electricity grid. MMC has already opened 28 "DENDO Drive Station" showrooms across Japan, all featuring solar panels and V2B charging stations. It plans to increase this number to 200 by 2020. In addition to charging vehicles, V2B allows the EV's battery to provide power to the building in times of high demand or an emergency. The building will then switch to charging the car at times of low grid demand, or when renewable energy production is at a peak. This has major benefits for the grid and provides cheaper, sustainable power for the EV owner. MMC is also contributing to the local community through the disaster prevention awareness activities at dealerships. In addition to normal showroom features, the DENDO Drive Station features a presentation and demonstration area where people can come and learn about and experience EVs and PHEVs. Takashi Hiromatsu, Assistant Division General Manager of Product Strategy Division from MMC said: "As our cars have evolved to become EVs and PHEVs, it was a natural progression for showrooms to become charging stations. Now, we can use batteries to store zero emission electricity from roof top solar panels and use it to manage energy demand at the dealership. As for the future, we would like it to become a vital part of the power grid, providing sustainability, stability and security to the transport and energy infrastructure even in times of emergency".